If Warner Bros. hadn’t chickened out and allowed Zack Snyder to complete his five-film DCEU project, we might’ve had something very special. The director had planned a five-film arc beginning with Man of Steel that would have told a self-contained story. This would have theoretically begun with the aforementioned 2013 pic, then continued with Batman V Superman, Justice League, Justice League Part 2 and an unnamed finale. The driving force for these remaining films? The arrival of Darkseid on Earth and the League attempting to prevent him from turning the planet into another Apokalips (as glimpsed in the ‘Knightmare’ sequence). 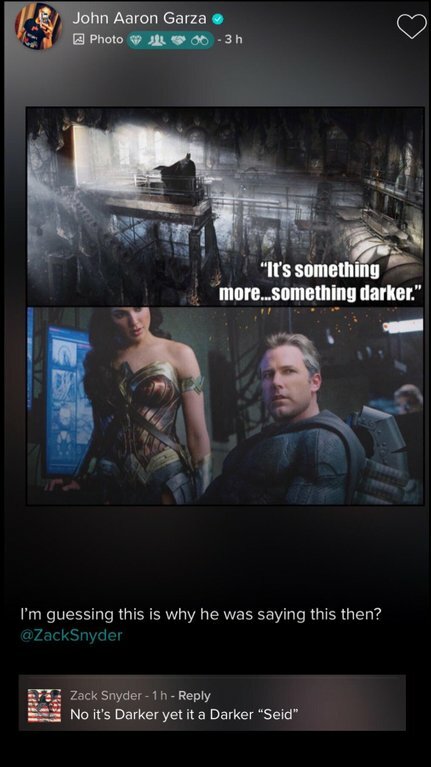 Much of this has been conjecture so far, but we got a juicy bit of confirmation today when Zack Snyder took to his favorite social network Vero to confirm that when Batman says “It’s something more… something darker,” he’s conclusively referencing Darkseid. 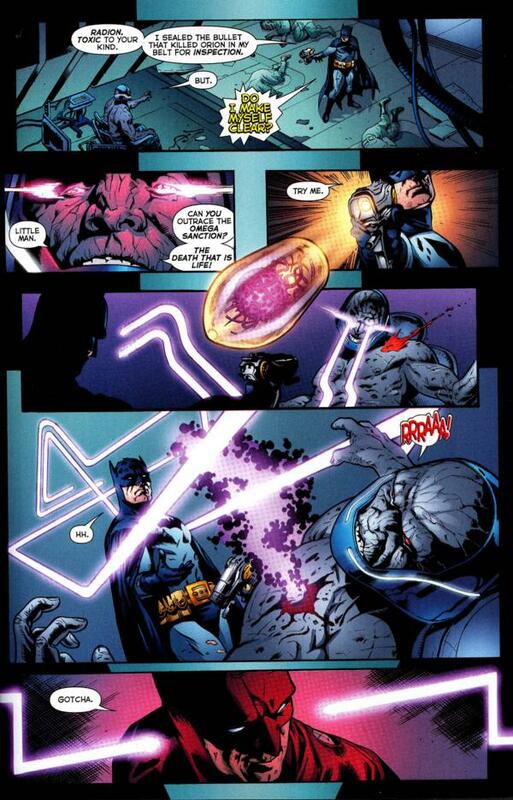 If you’re not familiar with Darkseid, he’s basically Thanos but cooler (the Mad Titan ripped off his style, to be honest). Created by Jack Kirby, he rules the hellish planet of Apokalips and functions as the God of all Evil. There aren’t many bigger bads in the DC Universe than him and he can generally take down Superman in a fight. He’s responsible for some of the coolest event arcs in DC Comics, too, with my favorite being Grant Morrison’s excellent Final Crisis in which his arrival literally warps space and time around him. And we might have gotten to see some of those moments brought to the big screen in Zack Snyder’s inimitably bombastic and operatic style. Oh well, at least we’ll probably get to watch him in action in Ava DuVernay’s New Gods, which will deal with the war between Apokalips and its opposing planet New Genesis. Still, we probably won’t get to see Superman unleash his full power in a ‘world made of cardboard’ or Batman shooting him with a magic time bullet anytime soon, and what a damn shame that is.